AMEX Credit Card Travel Insurance is embedded into some, but not all, of their cards. Different cards have different levels of cover. AMEX cards have highly limited cover that is totally inadequate for almost every traveler. Also, American Express Travel Insurance is available to buy as a standalone trip protection product from the American Express Travel Insurance site. This direct to consumer travel insurance from American Express is different from the cover offered on American Express cards, which can be confusing. Also, if a customer wishes to buy American Express Travel Insurance directly, they do not need an American Express card – you can buy with your Visa or MasterCard. So, two completely different products, with two completely different levels of trip insurance cover from American Express. In this article we will cover AMEX Credit Card Travel Insurance. These are critical areas of cover that we think should be in every travel policy. AMEX cardholders who need this additional cover will need to buy a comprehensive travel insurance policy of the type we sell at AardvarkCompare. 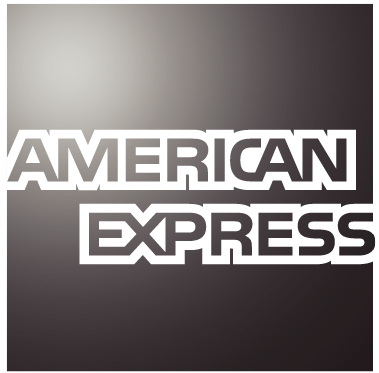 American Express is one of the largest credit card companies in the world. Whilst Visa and MasterCard have far greater sales volume, Amex considers itself the most premium of all credit card issuers. Part of the Amex appeal to customers is the enhanced benefits that come associated with each card. Baggage Insurance offers reasonable cover if a bag is lost. 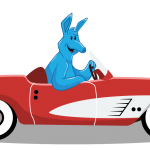 Car Rental Cover saves the equivalent of $9 per day in alternative insurance costs. Travel Accident Insurance is Death and Dismemberment Cover. It is not Travel Medical Insurance. As such, we feel that this is a terribly disingenuous cover name which is confusing to anyone unless they read the policy documents in detail. It should be noted that the majority of these programs are selected by a credit card issuer in order to be of high perceived value to a customer, but with low cost. Low cost is created by having a low cost of use – reading a guide for example. Or, the low price is due to low cover or a low claims rate. So, in this case, American Express Cards are hoping that a customer feels that there is value in the card that has been issued, but that the customer does not use the benefits that come with the card. Let’s look at some of the benefits that are associated with travel insurance. 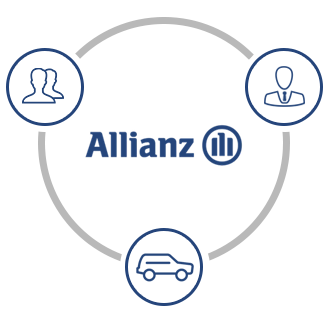 The AMEX Baggage Insurance plan is underwritten by AMEX Assurance Company. It is currently available on 41 of the Amex cards issued in the USA. In practical terms, the baggage insurance plan is available on Blue, Green, Gold and Platinum cards. 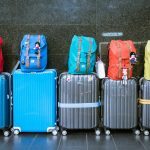 The Amex Baggage Insurance Plan has recently been updated. Visitors to the Amex site will be advised to select either the new policy, or the policy issued prior to September 1, 2017. 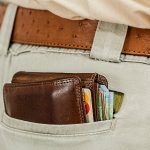 Of significant importance – the Amex Credit Card Baggage Insurance plan is only valid if the entire fare for the trip was charged to the member’s card. You need to pay for your trip with your American Express card in order to for the Amex Baggage Insurance plan to activate. Now, just to add to the complexity, AMEX Baggage Insurance has three different levels of cover – Tier 1, Tier 2 and Tier 3. Card Member, and the Card Member’s spouse or Domestic Partner and dependent children under 23 years of age. Take a look at the list. Some of these Amex cards have very high prestige levels, yet exactly the same cover as a cheap and cheerful Amex Blue. So, just because your card says Platinum, doesn’t mean it has regular Platinum benefits. Be very careful. The phrase to look for is ‘Platinum from American Express’ – that is a ‘Platinum’ card with Platinum benefits. So, there is a card in the list above that is called American Express Platinum Credit Card. Sounds like a Platinum. It isn’t. Furs or articles made mostly with fur or trimmed or lined with fur. Now, this does not make a great deal of sense to us, but there seems to be a significant difference in the way in which a very similarly titled product has its benefits created. Remember that we earlier described a series of Amex Platinum cards that only had Level 1 Cover – Amex Platinum, Platinum Delta and Platinum Delta Skymiles. The ‘Platinum’ in those earlier cards does not accurately describe a higher value card. 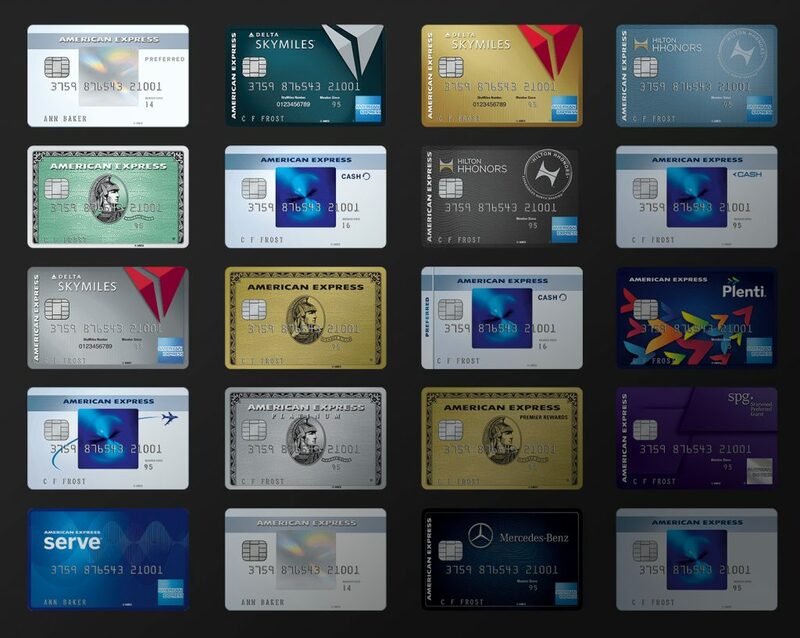 Only when we get to ‘Platinum Card from American Express’ and ‘The Platinum Card from American Express’ do we begin to see true Platinum levels of cover. Check your policy benefits carefully. The baggage travel protection that American Express embeds into its cards is good. The protection levels within its Platinum cards are excellent. However, not all Amex cards are created equal. There are a large number of cards that sound as though they have superior benefits but do not. It is very important to check your own policy benefits when looking at your Amex Trip Insurance. Remember, as well, that you must pay for the entire trip with your Amex card in order to get the benefits of cover. 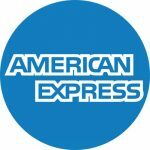 Currently in the USA, American Express offers credit card car rental loss and damage insurance on 52 of its different credit cards. Why is this a useful insurance? Well, a car rental insurance bought on its own from AAA or Allianz would cost $9 per day. The Amex cover replicates this standalone cover, so is very good value for its cardholders. You have fully activated coverage. 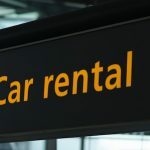 You use Your Account, American Express Membership Reward Points and/or American Express Pay with Points to hold or place a deposit at the time the rental is checked out and to pay for the Entire Rental from the Rental Company. Coverage will not be activated if You pay for any portion of the Rental Vehicle by some other means. the purchase invoice price of the Rental Vehicle, minus salvage and depreciation costs. Reasonable and necessary charges related to the Rental Vehicle subsequent to the Damage or Theft. You need to use your AMEX Card to pay for the entire transaction of your rental car. Otherwise, this element of the American Express Card Travel Insurance will not activate. You need to decline the Car Rental Company CDW offer. You have $50k of cover – think about this if the car that you are renting is worth more than this. You need to use your American Express Card to pay for the entire transaction of your rental car. Otherwise, this element of the American Express Card Travel Insurance will not activate. You have $75k of cover – better than the $50k Tier 1 cover, but, still think about this if the car that you are renting is worth more than $75k. The full Platinum Card from American Express gives an additional level of cover if you frequently hire cars worth more than $50k but less than $75k. Note that any driver intoxication will invalidate the insurance, so please drive sober. Also, cover will only work for up to 30 consecutive days of car rental. Currently in the USA, American Express offers credit card travel accident cover on 62 of its different credit cards. We think that this is one of the least useful policy benefits available on a credit card. It is providing some death and dismemberment cover when you are on a trip that you fully paid for with your American Express card. At AardvarkCompare we don’t come across many customers searching for this type of cover. 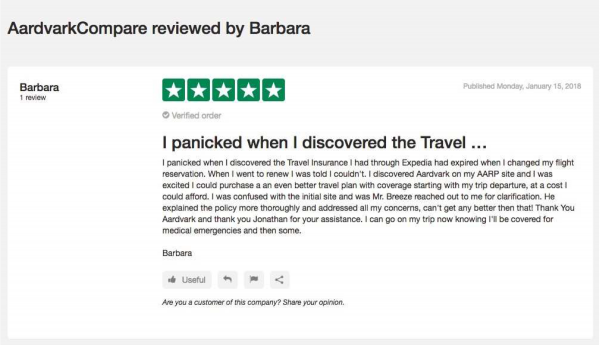 Customers want trip cancellation benefit, or travel medical cover. But rarely, if ever, are we asked about travel death and dismemberment cover. Note that American Express does not call this cover ‘Death and Dismemberment’. Yet that is exactly what it is. We find this concerning, and think that it is less than transparent. 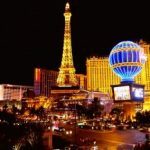 The reason for our concern is that many travelers mistakenly believe that AMEX Credit Card Travel Accident Insurance is going to offer them medical benefits. This is, we believe, an entirely logical conclusion that a traveler would make. $100k of Travel Accident Insurance sounds to most people like $100k to cover medical charges in the event of an accident on a trip. It won’t cover a cent. So, make sure you know what Amex is giving you. You are not getting Travel Medical cover. Many customers will require far more extensive Travel Insurance than that which is offered by AMEX Credit Card Travel Insurance. Be careful and try not to assume that a Platinum card will have medical cover, or cancellation benefits. There is no such cover.